Liquin is a quick-drying medium for oil and alkyd paint. 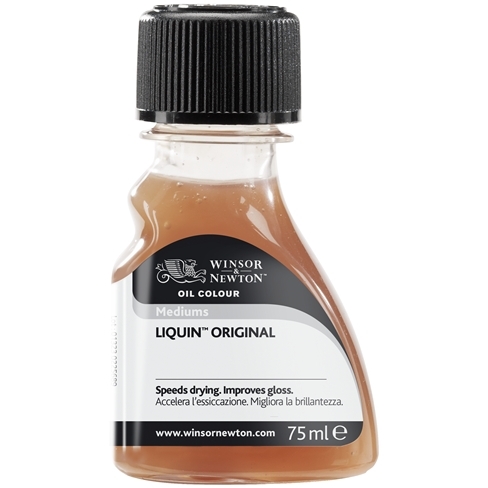 Used as an additive in many forms of artwork, Liquin is produced by Winsor & Newton and has a number of uses. This reliable favourite is a general purpose semi gloss medium which speeds drying, improves flow and reduces brush stroke retention. Halves the drying time of conventional oil colour (touch dry in 1-6 days depending on colour & film thickness). Resists yellowing. Not suitable as a varnish or final coat.